Dolores “Dee” Jane (Davies) Blanc, age 85 of Oakland, Nebraska passed away September 23, 2018 at Oakland Heights in Oakland, Nebraska. 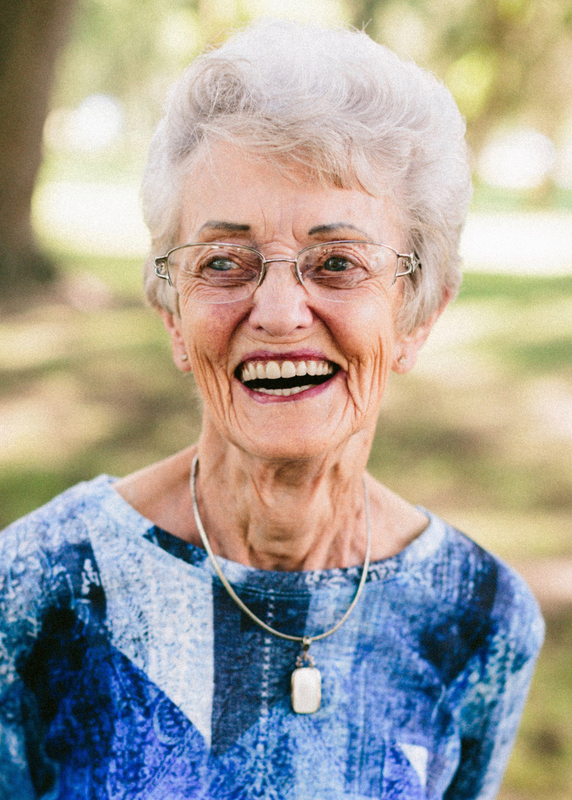 Funeral services will be on Friday, September 28, 2018, 10:30 am at First Evangelical Lutheran Church in Oakland, Nebraska with burial in the Oakland Cemetery. Visitation will be held Thursday, 5-8 pm with family receiving friends at First Evangelical Lutheran Church. Visitation will also be held at the church one hour prior to service. Memorials to Oakland-Craig Art Department, Burt County 4-H Kitchen, Burt County Fair Foundation or the Burt County Ag Society. Pelan Funeral Services in Oakland in charge of arrangements. Dolores “Dee” Jane (Davies) Blanc was born a twin with David Joe Davies, to John & Ethel (Hayes) Davies, on June 12, 1933 in Cody, Wyoming. She passed away September 23, 2018 at Oakland Heights in Oakland, Nebraska. Dee graduated from Cody High School in 1951 and attended Colorado A & M in Fort Collins, Colorado where she was a member of Gamma Phi Beta Sorority. On March 21, 1954, she was united in marriage to Harold “Buck” Blanc. After his graduation from Veterinary School in 1954, they moved to Oakland to practice veterinary medicine. To this union were born five children: Kathy Ray of Tekamah, NE; Mike (Karen) Blanc of Oakland; Sheri (Cary) Ratliff of Knoxville, TN; Max (Cindy) Blanc of Oakland; Melinda (Johnnie) Johnson of rural Craig, NE. Dee had seventeen grandchildren: Janet (Dan) Becic, Diane (Nik) Beninato, and Holly (Kevin) Loftis; Evian (Andrew) Schindler, Buck (Holly) Blanc, Baker Blanc, Kiley (Andy) Faller, Mallory (Andrey) Rybak, Susanne Blanc, and Mollie Blanc; Grace Carroll (fiancé Jason Williams) and Rose Carroll; Lance (Jeannette) Blanc, Cole (Amber) Blanc, and Luke (Kelly) Blanc; Will (Stephanie) Johnson and Jennie (Stewart) Harbin; three step-grandchildren: Emily (Barrett) Freeman, Abby Hyslop, Hannah (Adam) Guenther; and twenty-five great-grandchildren. Dee was a lifetime member of the United Methodist Church and the NVMA Auxiliary, she was a past Worthy Matron of the Order of Eastern Star. She belonged to the Oakland and Nebraska Art Clubs and Oakland Ladies Golf Association. From 1974 to 1983, she was the office manager for Doc’s veterinary practice in Oakland. In 1990, Dee opened DeeLightful Floral Shoppe, also in Oakland. She enjoyed playing cards in three bridge clubs and Tripoley Club. Her hobbies included painting on canvas, gourds and styrofoam figurines. She was a seamstress, extremely creative and crafty. She was preceded in death by her parents, five sisters, three brothers, her husband, and son-in-law, Curt Ray. Survivors include her 5 children, 20 grandchildren, and 25 great-grandchildren.